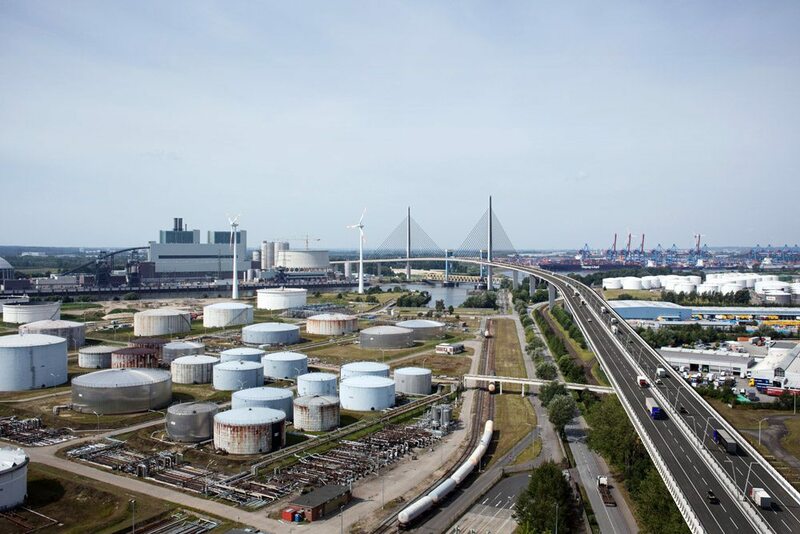 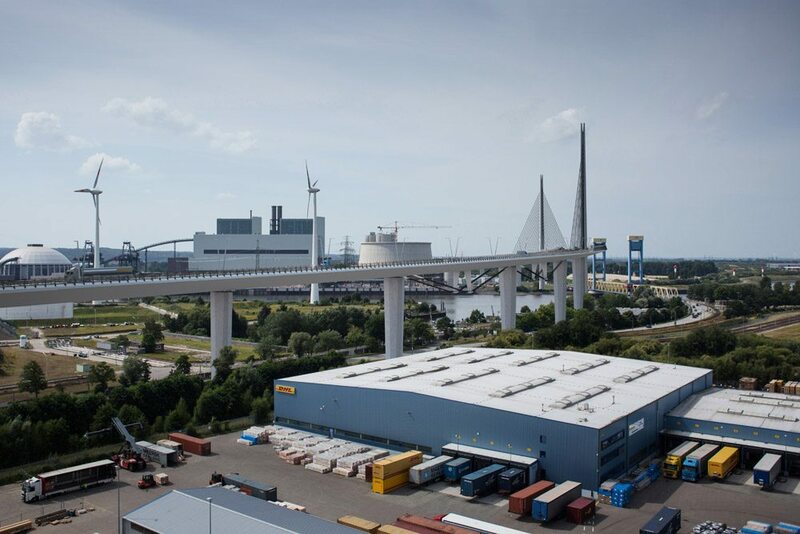 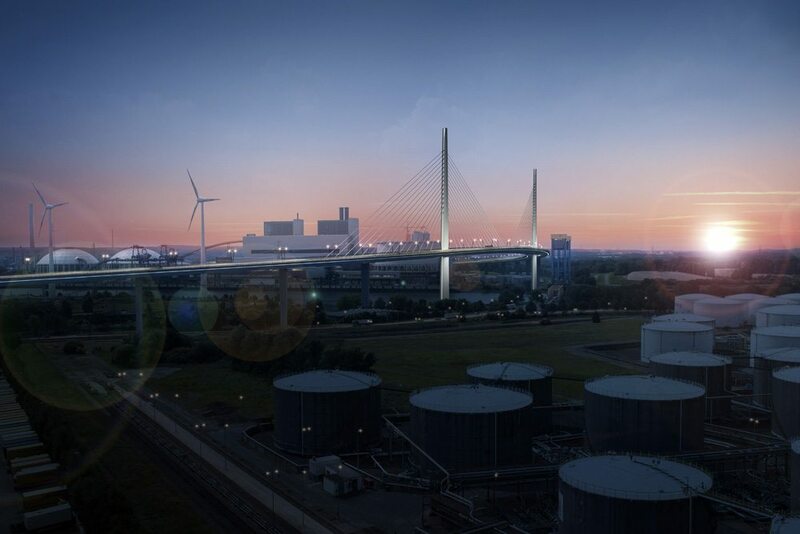 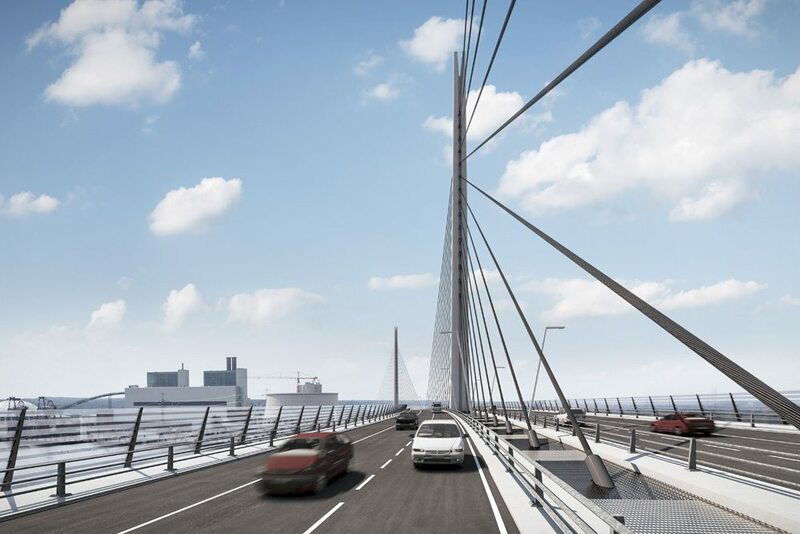 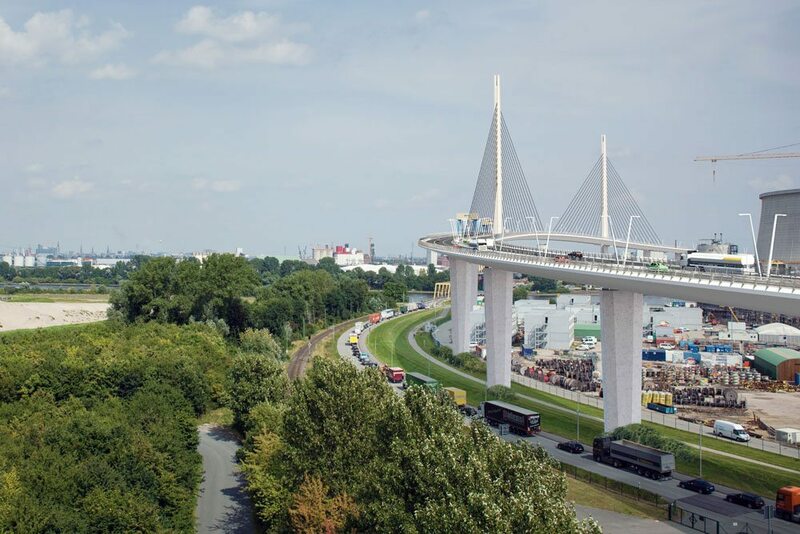 The proposal for a major highway bridge crosses the southern branch of the Elbe River in Hamburg’s industrial port. 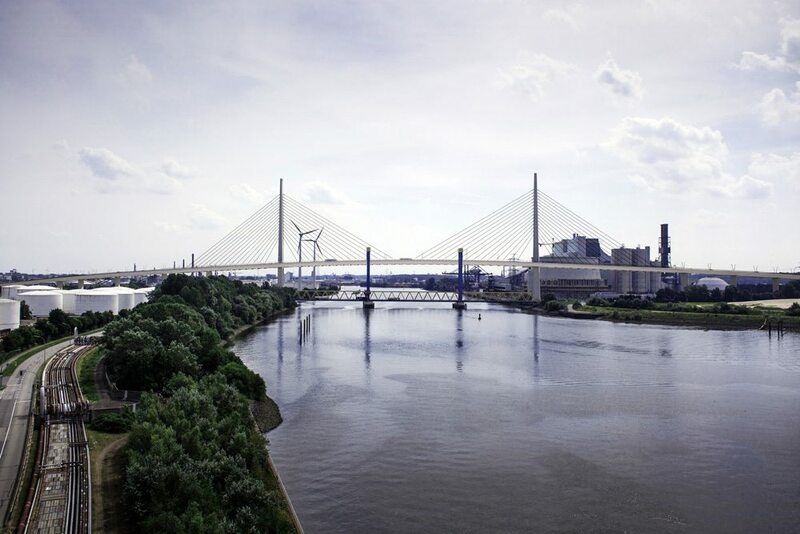 The Süderelbebrücke is a high level cable-stayed structure with a single, central plane of stays supporting a main span of 346m and side spans of 108m. 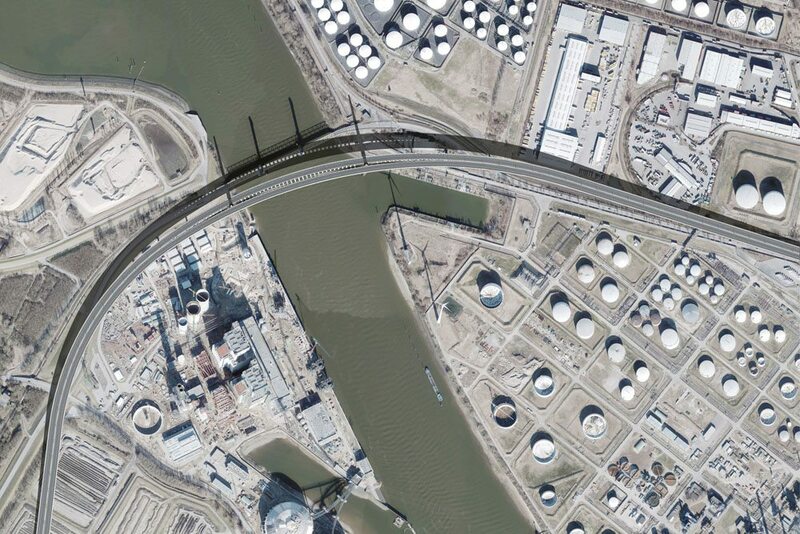 The bridge follows a long curving alignment providing a visually elegant resolution of highway alignments in complex and constrained context. 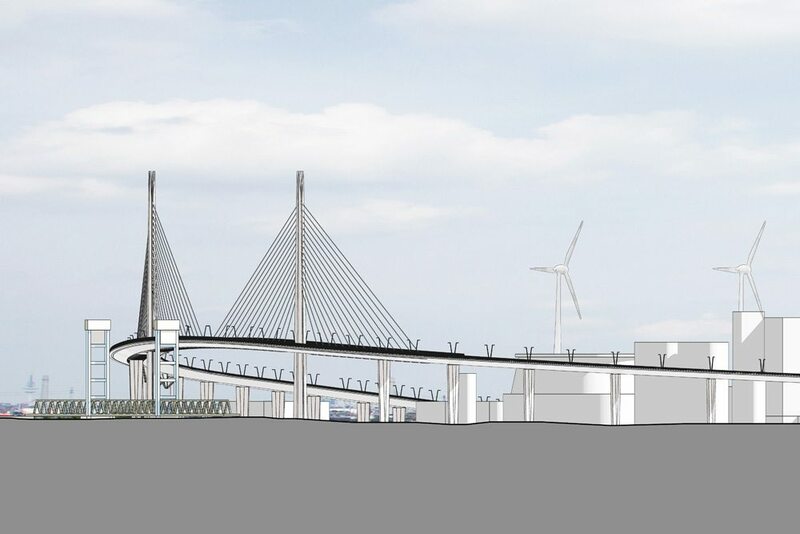 The structure consists of a composite steel deck box supported from two slender concrete pylons. 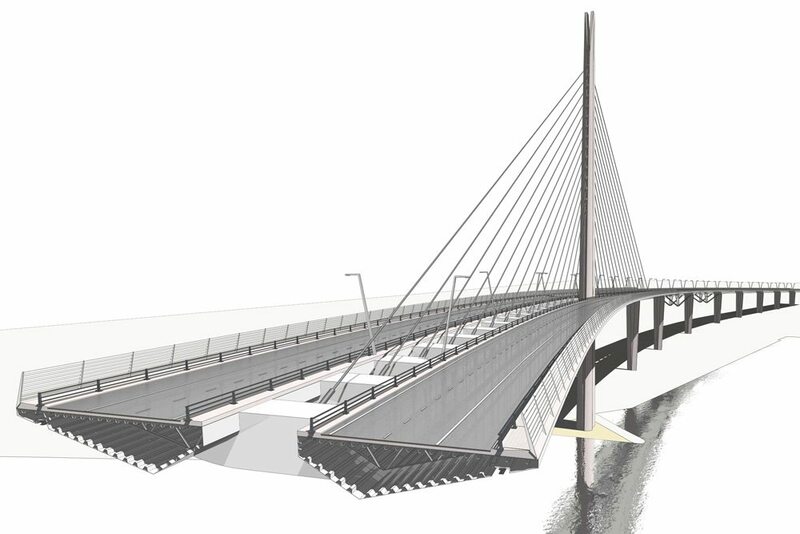 Two secondary spans of 100m crossing railway lines adjacent to the river are arranged as ‘king-post’ trusses with a stiffening compression member suspended centrally beneath the deck structure at mid-span.